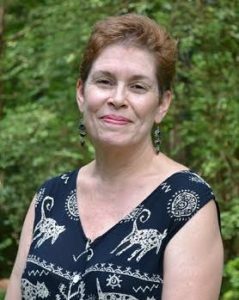 Dr. Donna L. Skillman is a NC Licensed Psychologist and Nationally Certified School Psychologist with over 30 years experience specializing in the assessment and treatment of ADHD and related disorders for individuals of all ages. She received her doctoral degree from the Graduate School of Applied and Professional Psychology at Rutgers University in New Jersey in 1986. She worked in schools and private agencies in New Jersey before she was licensed in North Carolina in 1991. Dr. Skillman has received 46 hours of training in DBT (Dialectal Behavior Therapy) and incorporates DBT principles in her therapeutic approach. I enjoy the challenges inherent in evaluations for learning and attention for individuals of all ages, child, adolescent, college student and adult, as well as formulating the plans to help address these issues. While I work primarily with individual children and adolescents in therapy, parents are involved in this process and are viewed as an important part of the plan. Therapy for college students and for parents who would like to address parenting strategies is also available. Appointments: Monday-Friday. Leave a detailed message in voice mail and your call will be returned.